Videos and VR walkthroughs will never be a perfect recreation of physically inhabiting a building, but they can also be more. Whatever the story, game engines allow you to tell it in a way that is intuitive and immersive. Sometimes called interactivity engines or real-time rendering engines, this article will acquaint you to the Why of game engines. TLDR: Our clients are getting more out of their 3D modeling than just visualization when we help them get their projects in Unity and Unreal. Sometimes we joke that we make business video games. But it’s true–whether for training or for sales, game engines make it immersive. So you can present information in a way that is a hell of a lot more fun than renderings, spreadsheets, and powerpoint. Best of all, once the buildings are recreated in the Unreal or Unity game engine, you have an infinitely adaptable and reusable visualization and simulation tool. Need to do another flythrough video? What about simulating pedestrian traffic data at various times of day? You got it. Because the core of our technology is data-driven, we empower our clients to do more with their 3D design models–to show art and science. There is no better way to do data-driven design. Bringing game engines like Unity or Unreal to Architecture and Construction has allowed us to engage stakeholders in the design in otherwise impossible ways–to see through walls to the vital organs of the building. To watch the designers’ thought process and intention overlaid diagrammatically onto the finished design. Simulate the buildings use in numerous configurations and watch how the design responds to the stresses placed on it. The strength of real-time render engines is their foundation in data interactivity. Revit and other CAD tools are propose-built for producing construction/fabrication documents, which are static. But we live in a dynamic, responsive world and we’re starting to demand the same from our tools. And game engines deliver–in graphics, speed, and the ability to instantly iterate. There is no better way to do data-driven design. We finished up a showroom for one of our clients, and just to see how customizable it was, Simon calculated that there are 2,137,450,604,396,544,000 unique customizations that the client can see and play with. That was as of this writing–more materials and meshes have been added. Something to that scale is impossible to do manually. When we look at designing a VR showroom for a client who needs custom lighting, product catalogs and essentially a way to examine every piece of it… we do it with game engines. At the end of the day you’re never guessing, every option and iteration is there for the client to look at. A huge gain that you get when you go with VR compared to 2D (video or stills) is the assumptions about distance and scale that you have to make – which we as humans do actively but not accurately. That’s why real estate agents can make a room look huge by using wide-angle lenses and fooling buyers into thinking a space is much larger than it actually is. You can’t lie like that in VR – things that are difficult to try to guess at in images are obvious in VR. AEC is dealing with software adoption fatigue. Some clients can hypothetically use out of the box software to solve their problems, but they have been learning tool after tool – and it’s just another software to add to their workflow. By having Bevel custom develop these products, we’re delivering the right tool for your company. Plugging ourselves into an already existing workflow helps sidestep that adoption fatigue. Failed software is an expensive and time strenuous struggle that turns many people off from trying the next solution that comes around. When we customize we avoid those problems. To learn more about our customized solutions and how we can implement them into your next project, subscribe to our newsletter, or shoot us an email to get a project started. Why VR isn’t just about being showy—when you have BIM, it’s about data. 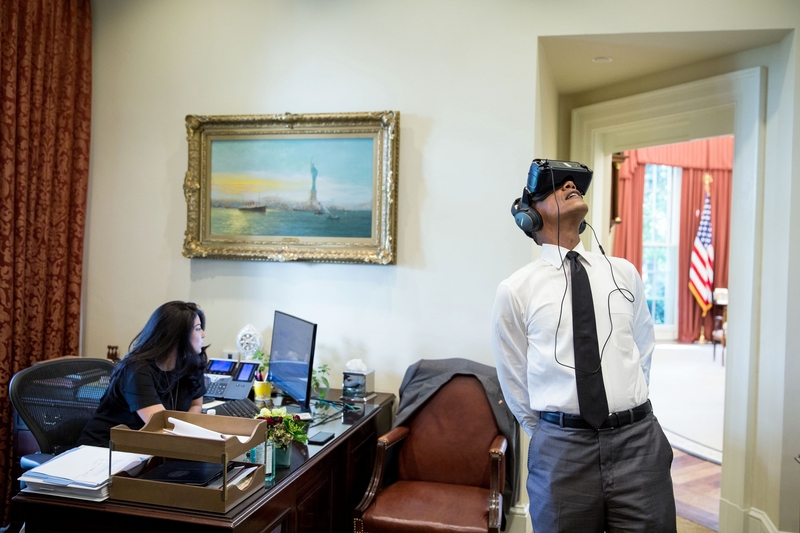 There’s some perception that this is showy, but rest assured that VR is not just a novelty that is cool to look at. The potential we see and we are working on is for tools that are useful, interactive, and data-driven. There is a special kind of ergonomics that comes from this…. Instead of working from plans and elevations. You add a human element – it enhances the human data. It’s amazing the amount of info you can learn from subtle head movements. 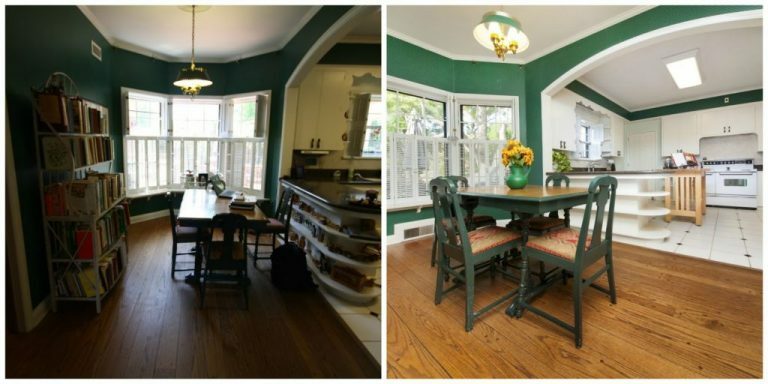 From your view in a theater to the placement of your cabinets. You can’t communicate things like scale and distance and proportion in any better way than VR and AR. …depends on what you want out of your AR and VR. If you’re going for realistic and pretty, having all your materials modeled in a more filled out way makes a big difference…. If you’re going for something more data focused, then having all those metadata points filled out would be the crucial thing… We can automatically set up those exports, our algorithms can read those data points without having to do it manually. AR and VR are experiences you have to try to understand. When it comes to AR and VR, make sure you are the one bringing this tool to your clients. Don’t wait until your client is ready because they never will be until they try it. It’s hard to understand what it’s like unless you’re doing it. Your screen isn’t quite adequate. Your drawing isn’t quite adequate. It’s always a challenge to get people to understand the potential until they try it for themselves. 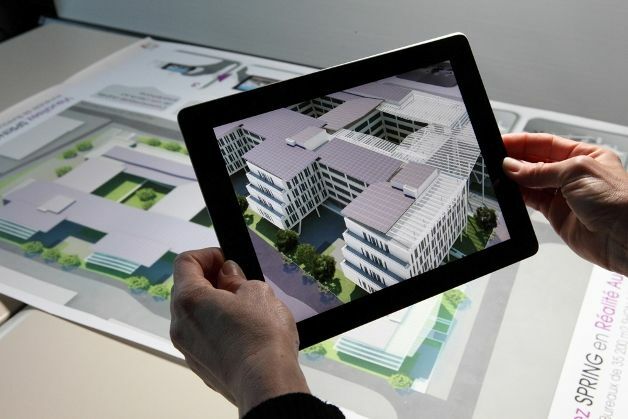 Try our iOS AR Plans app, featured at the Autodesk AEC Keynote. How to get your firm into VR- What basic tools do you need to get started? Hardware: Get a VR headset –> try a Samsung Odyssey. Once you have a headset there are many turnkey BIM to VR solutions. Enscape and Iris Prospect are great and work through Revit. These get you to the point where your Revit model is in VR and you can view it. If you want to interact with your data, you’ll need to get into the game engines. We teach Linkedin Learning courses designed for AEC professionals to get started. How to get your firm into AR and what basic tools do you need to get started? We recommend handheld or mobile AR—on your tablet or phone. Check out the reasons we love handheld AR. Download an AR plans demo that enhances a document set in AR. BIM nerds and those of you spearheading VR and AR efforts at your firm, listen to the full webinar below for more tech talk. Learn how Logan and Simon decided to become spatial technologists for AEC. Find out their favorite VR meeting room platform. And see which programming languages and game engines they use for each project.